In the late 1930’s and throughout the 1940’s Johnny Burke and Jimmy Van Heusen wrote mostly for Bing Crosby, and Crosby’s films and were so successful that they became know as the Gold Dust Twins. Not all their compositions were written for films. “Polka Dots and Moonbeams” and “Imagination” (1939) were both written for the Tommy Dorsey band, and neither had any screen affiliation. This section suggests definitive or otherwise significant recordings that will help jazz students get acquainted with “Polka Dots and Moonbeams.” These recordings have been selected from the Jazz History and CD Recommendations sections. Frank Sinatra’s 1940 recording of “Polka Dots and Moonbeams” is one of his best ballad performances and perhaps the best-loved version of the song. Sarah Vaughan’s tender 1957 version (Swingin' Easy) represents a very different approach, but an equally effective one. The influential ballad style of guitarist Wes Montgomery, meanwhile, is well represented on a landmark performance of the tune from 1960 (The Incredible Jazz Guitar of Wes Montgomery). If I love the feel or the melody of a song, it might not matter what the lyric is. Of course, the lyric matters! But I almost feel that I can make any lyric work…I can sing “Polka Dots and Moonbeams” earnestly and honestly, without even bothering to think that I myself might not ask a pug-nosed dream, dressed in polka dots, to dance. Movement It moves primarily step-wise, ascending and descending, with occasional leaps and skips; melodic contour is very wave-like. This is not one of Van Heusen’s more sophisticated pieces; however, because of its relative simplicity, jazz performers have been able to use substitutions and extended harmonies. The harmonic sequence in the first half of “A” and the entirety of “B” is based on I – vi – ii7 – V7 – I (“Blue Moon,” “Heart And Soul”). Contemporary players have substituted iii for I in mm. 3-4 of “A”. In the second half of “A,” the ii7 proceeds to III7 as a dominant, leading to vi. Today, a vii˚7 is usually inserted before the III7 (Dm7b5 - G7 in the original key). On its way back to the tonic, Van Heusen used a rather tasteful and unusual sequence. Instead of simply going vi – ii7 – V7 – I (which works, but is bland sounding), the progression ascends by step so that vi is followed by bVII9 (a substitution for V7 and a “common-tone modulation,” since the 9th of this chord corresponds to the root tone of the tonic key). Modulation into the new key of section “B”–a major third higher than the tonic (from F major to A major in the original)--is accomplished via a seventh chord a half step lower than I (vii7 functioning as V7 of the new key). Returning to the tonic key for the final “A” is easily accomplished through the cycle of fifths. Gil Evans, the masterful arranger for Miles Davis, rose to prominence arranging for band leader/pianist Claude Thornhill, and his 1947 arrangement of “Polka Dots and Moonbeams” illustrates why his talents appealed to Miles. This was also a favorite number of tenor sax giant Lester Young. He recorded it several times, first in 1949 with pianist Hank Jones, bassist Ray Brown, and drummer Buddy Rich. In an interesting reunion with former boss Count Basie, he recorded a live version at the 1957 Newport Jazz Festival. Two interesting sessions from May 7, 1957, feature trumpeter Donald Byrd playing “Polka Dots and Moonbeams.” The first is a quartet session led by Byrd; the second is led by pianist Elmo Hope and has John Coltrane on tenor saxophone. 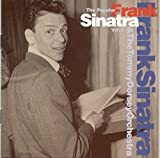 Sinatra presents perhaps the definitive vocal rendition of this song with the expert backing of the Tommy Dorsey Orchestra. Sinatra’s wry delivery fits well with the lighthearted nature of the song. The incomparable vocalist delivers a lovely rendition of the song within an intimate trio setting. Hard bop guitarist Montgomery set the standard for not only the song but also the style of a generation of jazz guitarists that would follow. His lyrical version is West Coast laid-back. Note: The sound quality of the original CD release was not even as good as the LP. Be sure and get the audio CD referred to here. Powell is best known for his jaw-dropping pyrotechnics, but his Tatum-inspired ballad playing was significant as well. Here he gives a gentle, lush performance in a trio with bassist George Duvivier and drummer Art Taylor. Baker, known to many as a vocalist, sticks to the trumpet here, giving a wonderful interpretation of the melody, followed by a lyrical improvisation. Pianist Al Haig also has ample space to shine. This creative, super-tight performance documents pianist Evans at a gig at New York’s Village Vanguard alongside his new band member Eddie Gomez on bass and his old friend “Philly” Joe Jones on drums. Thirty years after Sarah Vaughan's version, Cassandra Wilson gives the song a refreshing take. Wilson and trio allow themselves to explore while respecting the past, turning the tune into a modern, swinging waltz. If you’re feeling flush and can spring for an import, you won’t be sorry about this one. With the backing of Herb Ellis and Ray Brown, Peterson sings and plays a dozen standards, including “But Not for Me” and “Spring Is Here.” Purportedly he was told to give up singing because he sounded too much like Nat “King” Cole. This is his only vocal album.